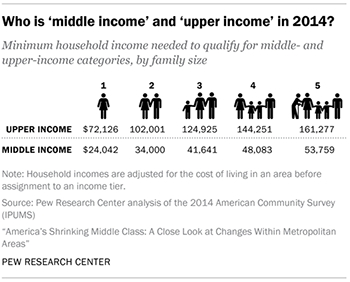 Who is ‘middle income’ and ‘upper income’ in 2014? Distribution of adults by income tier in U.S. metropolitan areas, 2000 and 2014, cont. Changes in the distribution of adults by income tier in U.S. metropolitan areas, 2000 to 2014, cont.